It's 1936 in Flint, Michigan. Times may be hard, and ten-year-old Bud may be a motherless boy who never knew his father, but Bud's got a few things going for him. One is a collection of flyers for Herman E. Callowy and his famous band, the Dusky Devastators of the Depression. Bud's got an idea those flyers will lead him to his father, and once he hits the road to find this mystery man, nothing can stop him. 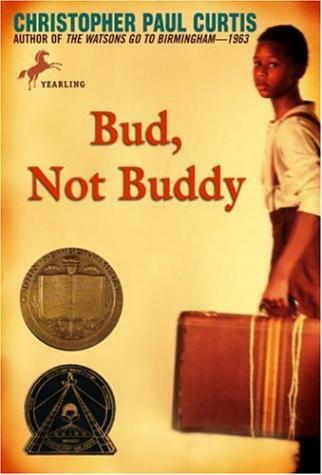 Bud, Not Buddy is full of laugh-out-loud humor and wonderful characters, hitting the high notes of jazz and sounding the deeper tones of the Great Depression.